(Washington D.C.) Unconfirmed Sources report that Mr. Trump has added 32 GOP lawmakers to his enemies list. 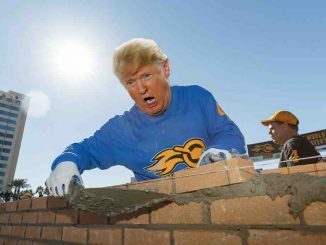 After the failure of the House to pass Trump Care Mr. Trump feels the need to seek revenge aginst those who opposed him. This addition to the list comes at an inopportune moment as his list has been the subject of an ongoing lawsuit. 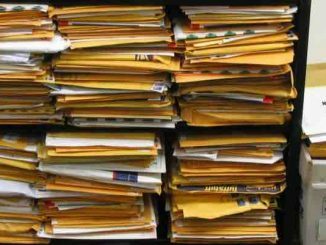 A Freedom of Information Act lawsuit brought by the media watchdog group Media Watchdog has prevailed in court and the White House must release the list. 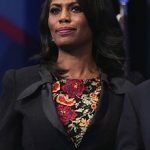 The keeper of the list, Trump henchman Omarosa Manigault, confirmed the list’s existence just after the election while threatening Senator Linsday Grahm that she was putting him on it. 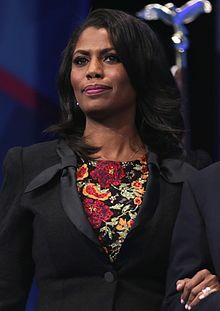 It’s so great our enemies are making themselves clear so that when we get into the White House, we know where we stand,” Omarosa told the Journal Review at Trump’s election night party in New York City. I would never judge anybody for exercising their right to and the freedom to choose who they want, but let me just tell you, Mr. Trump has a long memory and we’re keeping a list,” Omarosa told the Journal Review. It is not known at this time who is on the list and what Mr. Trump intends to do with his list. The New York Tims has compiled a preliminary list of the folks it believes are on the list. 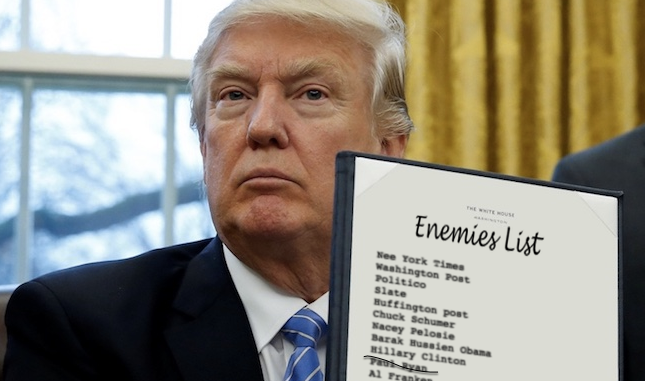 The Trump Enemies List? Robert Novak Still Skates as Scooter Libby Gives it Up. George Bush's Role In Leaks Revealed…A Long Time Ago.